Yuriy Gurzhy was born in Ukraine and now lives in Berlin. He is a musician, DJ, producer and radio broadcaster. Together with the German-Jewish writer Wladimir Kaminer he started the now legendary ‘Russendisko’ club events, and compiled five CDs as part of the project (Russendisko Hits 1 & 2, Russensoul, Radio Russendisko, Ukraine Do America). 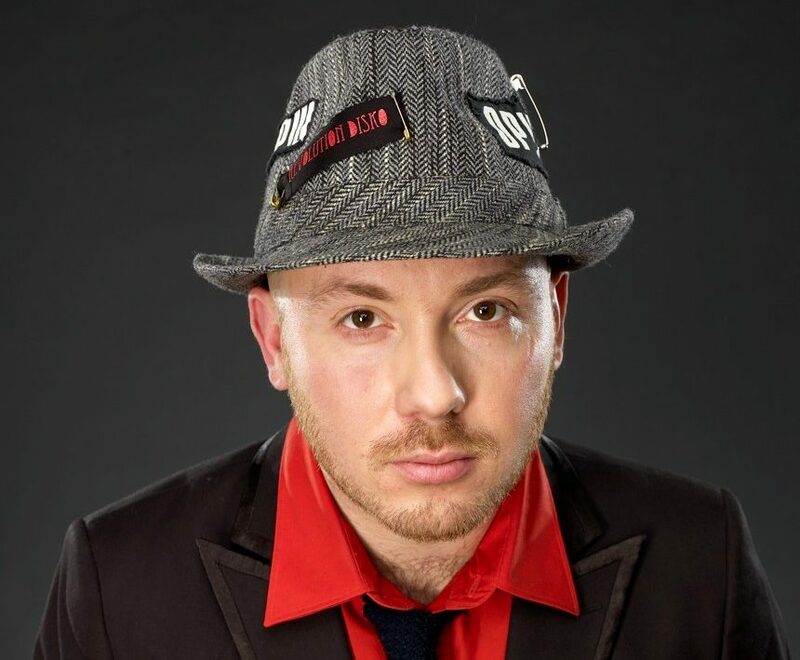 His compilation ‘Shetl Superstars’ (2006) was dedicated to funky Jewish sounds from around the world, and for “Revolution Disco” (2010) Yuriy selected old and new anthems of the modern revolutionaries. From 2000 to 2006 Yuriy hosted the music program “Russendisko Klub” on Radio MultiKulti in Berlin. When he is not busy DJing or creating compilations, Yuriy sings and plays guitar with his band RotFront (their first two albums ‘Emigrantski Raggamuffin’ and ‘VisaFree’ were released by Essay Recordings, the third one, “17 Deutsche Tänze” came out 2014 on GMO the Label). RotFront tours extensively throughout Europe, playing all the major festivals and venues. Together with Lemez Lovas (ex-OiVaVoi, Yiddish Twist Orchestra) he founded the project “Shtetl Superstars” (their CD ‘Shengen Visa Wedding’ was released in 2014). He also collaborated with Alec Kopyt, Shantel, Amsterdam Klezmer Band, 17 Hippies, Perkalaba, Zhadan & Sobaki and MaMa Diaspora, among others. In January 2016 Yuriy started a new monthly party in Berlin called “Born In UA”, dedicated to ukrainian music in all its variety. His newest compilation, “Borsh Division – Future Sound Of Ukraine” was released by Trikont on April 1st, 2016.